What do you think of or imagine when you hear the words Virtual Reality (VR), and do you have any idea what is the use of this technology? Often, when people think, they are transported to an imaginary world. In the learning environment, it helps learners adapt well to real-life situations, through virtual surroundings, offering a riveting learning experience. However, to use this technology in learning and development, organizations must invest in the purchase of smartphones and virtual reality headsets. With the help of these devices, an artificial scene can be created in such a manner that it looks and appears like a 3D experience, which allows the learners to engage with eLearning. So, let us look at some of the benefits of virtual reality in eLearning and development. Once you wear a VR headset, you encounter high-quality visuals that leave you mesmerized. It is also observed that the VR is effective in emphasizing things through visualization. The main advantage of it is that it helps learners grasp difficult concepts easily when the data is visually presented. Regardless of the age of the learners, they would love to sit down and watch something, instead of reading. 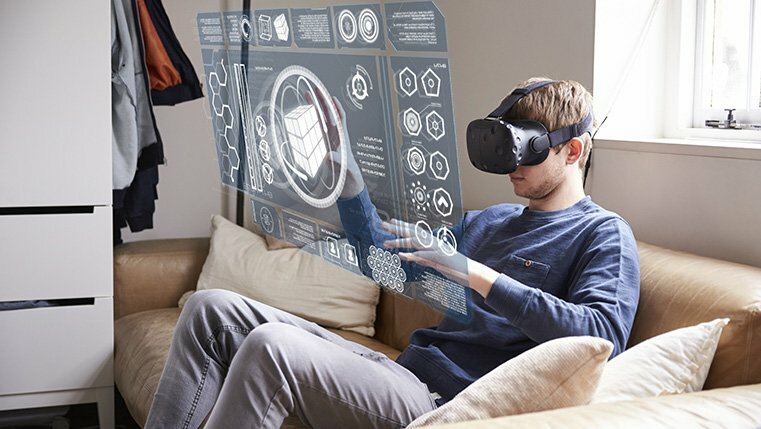 In fact, the VR technology is quite interesting, and helps you create that remarkable experience which could never be lived in real life scenarios. This will increase the interest of learners, thereby motivating them to take the course using this technology. In this age of technology, it is difficult to create a productive engagement in classroom training. In such situations, you can opt for the virtual reality technology that helps you easily create learner engagement where the learner himself is motivated to take the training. The main advantage of using VR is that it doesn’t feel like work when you watch things flashing before your eyes, and learning new information through videos and the 3D visuals. In fact, you will find it even more exciting to complete the course. The bottom line is, when you enjoy doing something, you would do it more effectively and enjoy it at the same time with efficient results. VR helps in improving the quality of education or training. For instance, in the field of medicine, doctors these days are using the benefit of the technology to explore new aspects of medicine to teach others better. Alternatively, you can develop a surgical scene for doctor training, which will help the practicing doctors learn how to apply the same in real life scenarios. We sure hope that you agree that the VR environment offers many uses and benefits in the learning and development fields. Do share your thoughts and experiences on VR!